CSR and HR are mutually beneficial to each other in an organisation. Given their mutual focus on the human element of an organisation, these two departments have always supported and strengthened each other. CSR function was handled by the HR department in majority of Indian companies before the mandate. After the mandate though, the two have begun to diverge and function exclusively. However, they still work in close quarters. CSR is quite dependent on employee participation in an organisation. It is also a key area of focus for the HR in order to build productive employee engagement practices. Youth today are very conscious about social causes and are embracing CSR with gusto. Globally, more than 3.5 million people have mentioned on their LinkedIn profiles that they would participate in the organisation’s non-profit activities and use their skills in volunteering. This is very beneficial for a CSR program because committed employee participation is the backbone of its execution. This is why, it is very important for the organisations to train the employees in such a way that they consider their part in the non-profit activities as their citizen social responsibility. This way employees can utilise their skills in the community work and get recognised by the organisation, in return feeling invested with the company as well as the cause. 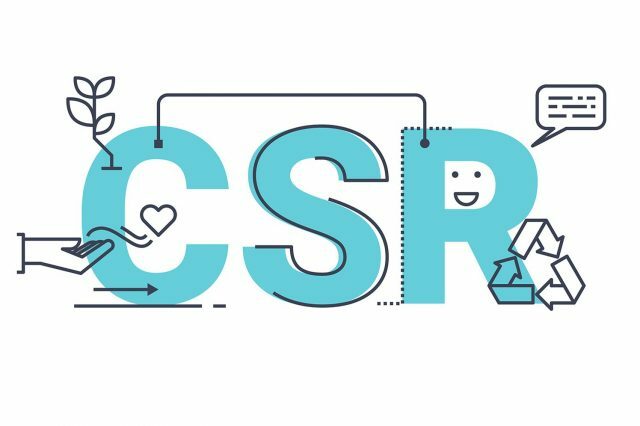 Corporates can encourage more employees to participate in its CSR initiatives through effective communication, in return earning the respect of their employees. According to a study, 95 per cent employees felt more engaged working for a company that gave back to the community. 83 per cent of the respondents said that an organisation’s commitment to social issues played an important role in determining their choice of work place. 47 per cent respondents said, they would even consider changing a job if the company they are working for is not socially responsible. CSR and HR go hand in hand. The sooner organisations start to take advantage of this, the better it will be for both the departments.